The Peninsula Polycarbonate Gazebo 3x3m in grey from Glendale Leisure is superb value for money. Designed to be a permanent fixture in the garden, this fantastic outdoor shelter can be secured to the ground or decking using the designated screw holes. Features a steel frame with a high quality grey powder coat finish, a polycarbonate roof and heavy duty UV stabilised Polyester curtains. 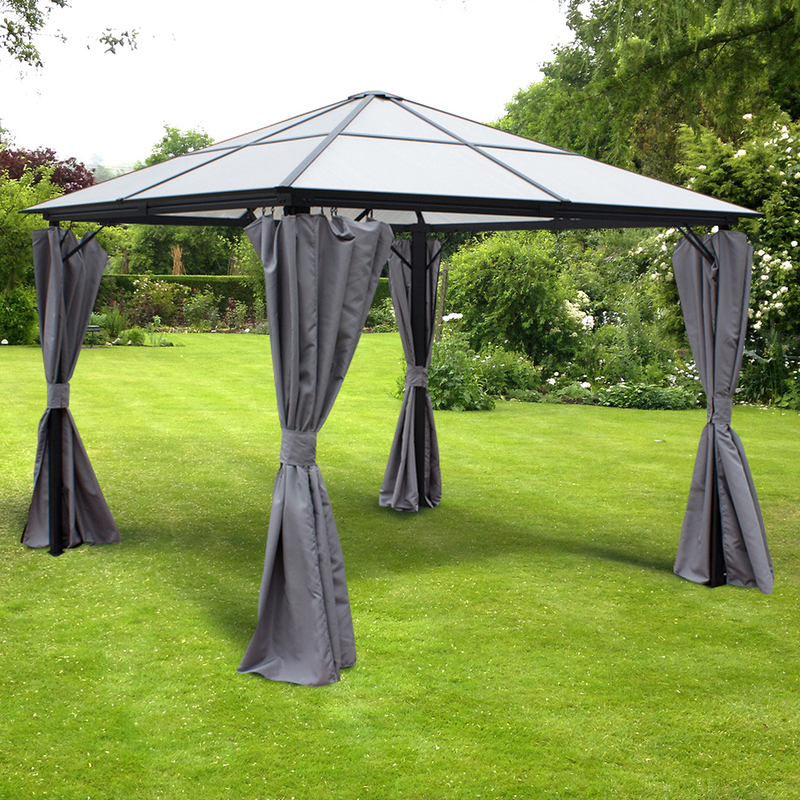 This gazebo sunshade is a well constructed and very robust structure. The curtains can be removed when not is use during the winter months. Click the button below to add the Peninsula Polycarbonate Metal Gazebo 3x3M Grey to your wish list.